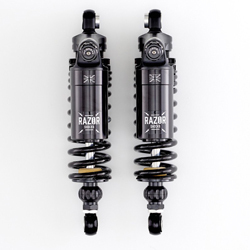 High Performance Shocks Built To Your Spec. Benefit from significantly improved handling, roadholding and comfort - with enhanced looks over standard equipment - with the K-Tech Razor "Lite shocks. The Razor "Lite" features rebound damping, spring preload and length adjustments enabling owners of classic style motorcycles to customise their ride adding refined performance while still retaining understated looks. 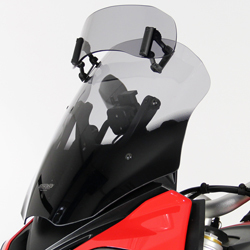 HPS will have your shock built to order with the specification based on your individual needs with all adjustments pre-set (i.e., for rider only or rider and passenger weight; road only, road and track or track/race only use). Built to your individual spec. If youd also like separate compression damping adjustment and remote gas reservoirs, see the full-spec. Razor Shock below. !suspension, ktech, ktec, shocks, 14, 15, 16, 17, 18, 19, 20, 2014, 2015, 2016, 2017, 2018, 2019, 2020! Benefit from significantly improved handling, roadholding and comfort - with enhanced looks over standard equipment - with K-Tech Razor shocks. 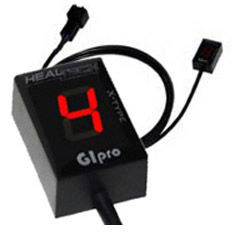 Featuring totally separate compression and rebound damping, spring preload and length adjustments, the full-spec. 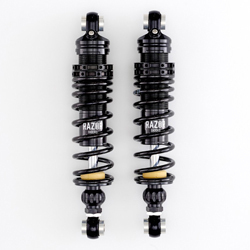 Razor Shocks enable owners of classic style motorcycles to further enhance their ride performance and provide a more technical look.